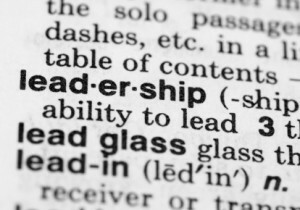 "Seven Traits of Truly Inspiring Leaders"
What is it about the behavior of people who truly inspire their managers, who are the leaders we aspire to become? In perusing my files today, I came upon an anonymous article that identified seven traits shared among what the writer entitled ‘Truly Inspiring Leaders”. Based on interviews with thousands of executives, the author noticed a subset of bosses who ‘inspire their employees and colleagues to achieve more than they ever thought possible’. In the famous book Flow by Mihaly Csikszentmihalyi he talks about people are most likely to achieve their goals when at the edge of anxiety and achievement. Stretch, feel confident, take a risk, and succeed — and repeat. Maybe this is what great leaders do by their behaviors. Purpose: inspiring leaders believe success serves a higher purpose. Yet, when you ask them why they’re motivated, they will say it’s all about making other people successful. Unlike their opposite, who are motivated by what makes them personally satisfied, inspirational leaders care more about others than themselves. Giving Back: Long-term plans of inspiring leaders can include pro bono work or even charitable activities. They want to give back, whether in money, time, thought or heavy lifting. Uninspiring leaders feel no such obligation. For them, it’s more important ‘cashing-in and/or buying physical objects’. Gratitude: While uninspiring leaders are self-satisfied, secretly believing their success ‘is a natural result of being smarter and better than everyone else’, inspiring leaders don’t hold such grandiose and self-aggrandizing beliefs. Leaders who inspire are indeed deeply and truly grateful. Quite naturally they know their success ‘is hugely dependent upon accidents of birth and circumstance’. Beliefs and Values: Inspirational leaders ‘treasure their beliefs’. Uninspiring leaders tend to wear their values on their sleeves, following whatever catches their fancy. In order to inspire others, true leaders allow their convictions pervade what they do and say — you can’t help but notice what they are feeling and the internal guidelines they’re following. Empathy: Clearly, inspiring leaders care about people. Like the world’s finest philanthropists, they recognize and cherish their obligation to help those less fortunate. Given the prevalence with which Ayn Rand’s named was used in the latest Presidential election, we unfortunately learned that some leaders ‘couldn’t care less’ about other people. Ms. Rand’s novels — especially Atlas Shrugged — gave the impression that the poor are merely ‘moochers’ begging for a handout. Like Marie Antoinette, who reportedly said to the populace ‘let them eat cake’, uninspiring leaders emanate a certain disdain for those who aren’t as fortunate as many of us. Team Focus: To inspire, you must share and spread the credit. Nobody is successful alone. Inspiring leaders rarely talk or brag about themselves. Rather, they take the praise received and redirect it to the team members. For those less than inspiration leaders, they tend to spread blame while taking credit themselves for the good things that happen. Energy: How rare is it to leave a meeting thinking ‘I’d really like to work here’. The person leading that meeting created an uplifting spirit and direction. Her counterpart would be depressing in comparison, leaving you departing the meeting hoping you’ll never have to work for them or join them on a team. As we begin the new year, constructing a check list to see how you fare on these attributes would be a worthwhile exercise — you might be surprised by what you find. And as with many managerial behaviors, where you don’t score a direct hit (on the positive side! ), you can also build a development plan to focus on a trait that needs more time or guidance to manifest itself. Should you find you’re not exercising ‘inspirational’ behaviors, better to know now than learning later that you could have accomplished so much more. In the bestselling book, The Extraordinary Leader, thought leaders Jack Zenger and Joe Folkman reveal 16 key competencies that separate the top 10% of leaders from the rest. Expanding on their research from that book, the authors answer the question, “Which of the 16 competencies is the most important?” Through an extensive study with over 20,000 managers, they discovered that leaders who possess the ability to “Inspire and Motivate Others to High Performance” outperform all others. It is the single most powerful separator of the most effective leaders from both average and the poor performers. It is the quality most sought after by subordinates. It is also the quality that is most closely correlated with the highest levels of employee engagement. The mystery then is: “Is this a skill that people can learn or are a chosen few just born with it?” By analyzing results from thousands of leaders the authors conclude that nearly every leader can learn to be inspirational. Readers will learn how to inspire teams to greatness. They’ll learn the nine behaviors exhibited by the most successful leaders and how to implement them. All leaders will be able to find straightforward actions that will fit into their current activities. Understanding this mystery is the key to unlocking workforce potential and inspiring associates to even higher levels of performance. I fully agree with the conclusions of those studies. Leadership can be taught. However, like everything else in life, the person being taught has to want to learn and perform and see the results as benefiting not just themselves but others. A lot of it has to do with putting your ego aside and letting others prosper.